For all these reasons, a team of researchers decided to study the safety of acetaminophen in a nursing home setting. Their study was published in the Journal of the American Geriatrics Society. The researchers’ aim was to explore any connection between acetaminophen use, death, and major heart events such as strokes and heart attacks in a large group of older adults living in nursing homes in southwestern France. The researchers found that the number of strokes was about the same in both groups—about 5 percent of the people who took acetaminophen had strokes, while about 4 percent of those who did not take acetaminophen had strokes. However, in participants who had diabetes, there was a slightly higher risk for stroke among people who took acetaminophen. “My personal message to the people in my everyday practice is that any drug they take may have some form of harmful side effect unknown to them, even those they can buy over the counter. It is always best to check with your health care provider before you take any new medication, and make sure you’re taking the dose that’s right for you,” said study author Philippe Gerard, MD. This summary is from “Acetaminophen safety: Risk of mortality and cardiovascular events in nursing home residents, a prospective study.” It appears online ahead of print in the February 2019 issue of the Journal of the American Geriatrics Society. The study authors are Philippe Girard, MD; Sandrine Sourdet, MD; Cantet Christelle MSc; Philipe de Souto Barreto, PhD; and Yves Rolland, PhD. 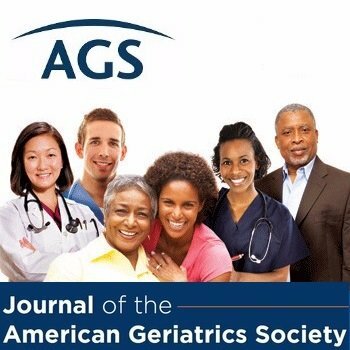 This entry was posted in Health in Aging, JAGS Research Summaries, Medications and tagged acetaminophen, diabetes, liver failure, overdose by HIA Guest Blog. Bookmark the permalink.